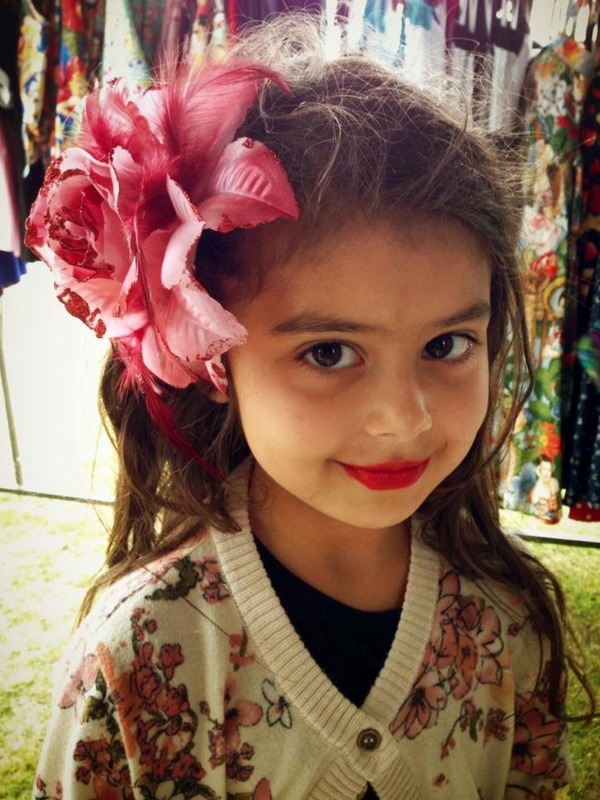 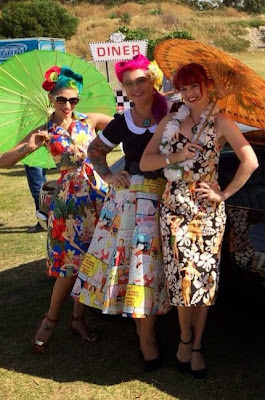 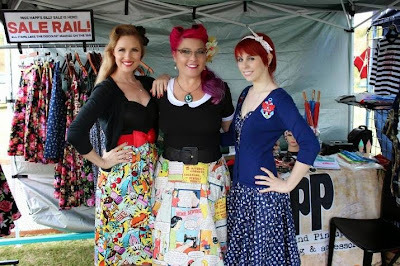 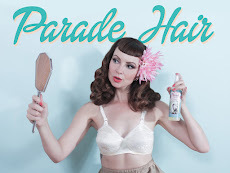 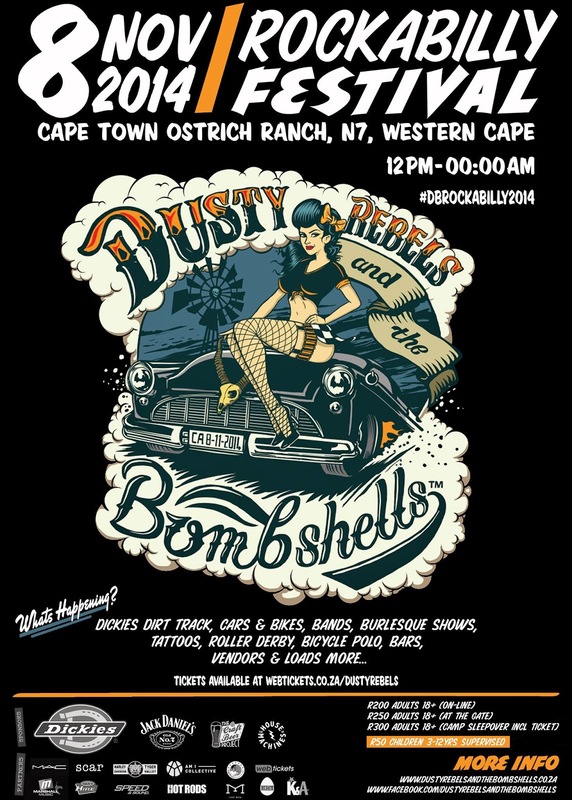 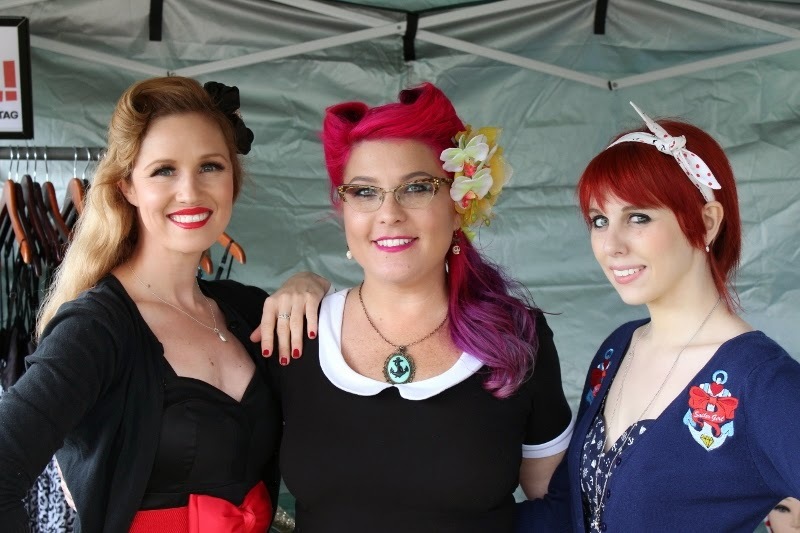 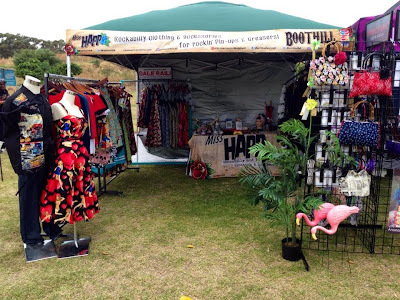 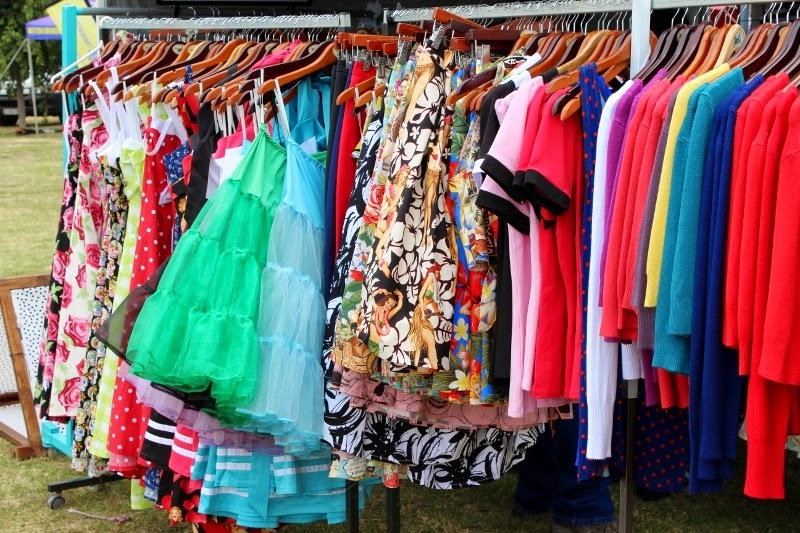 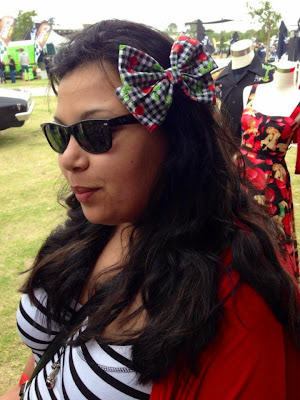 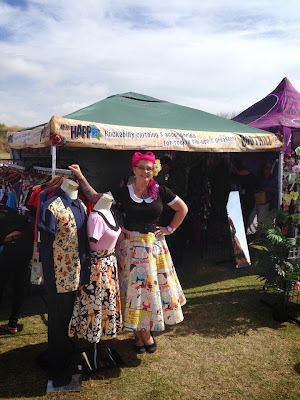 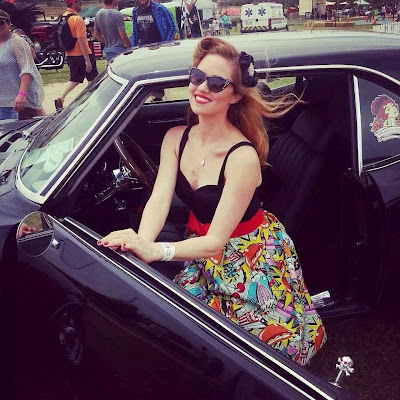 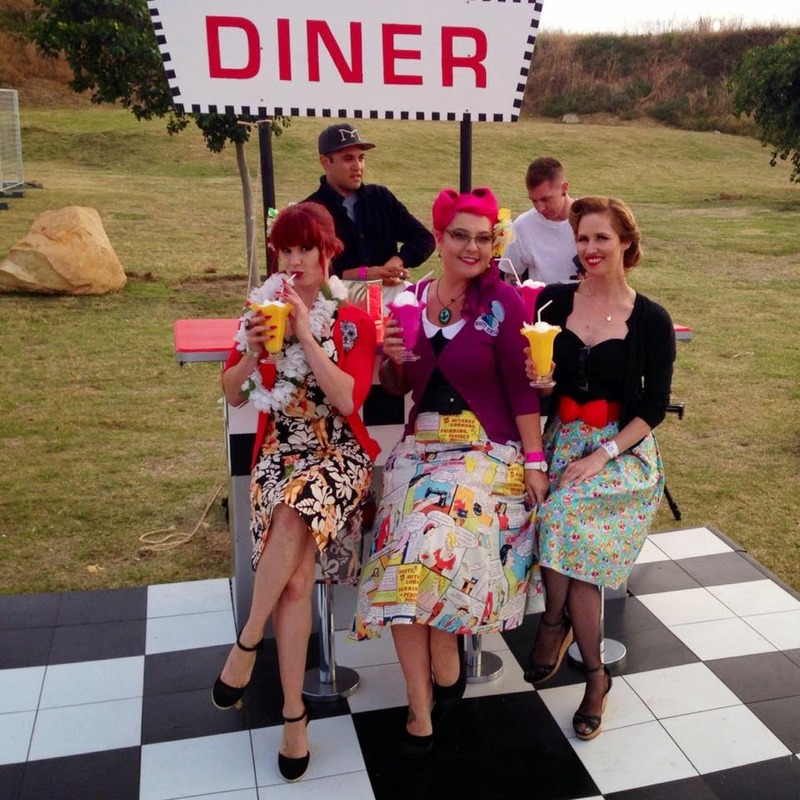 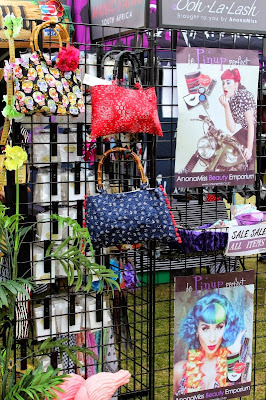 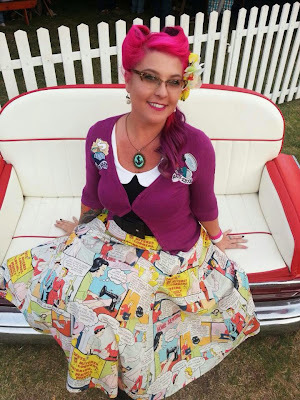 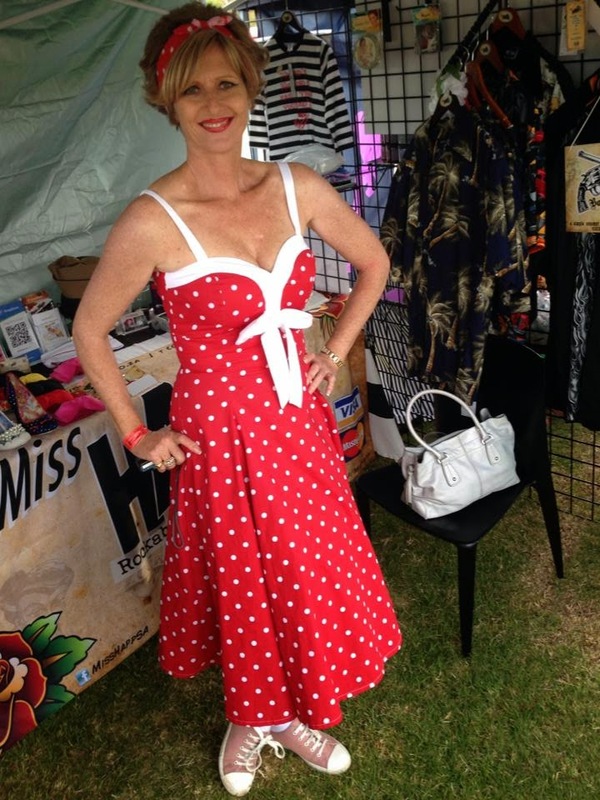 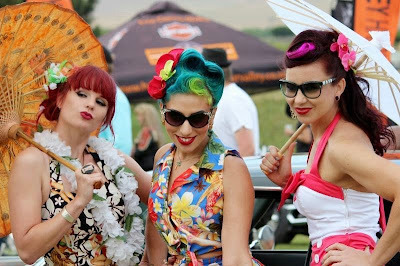 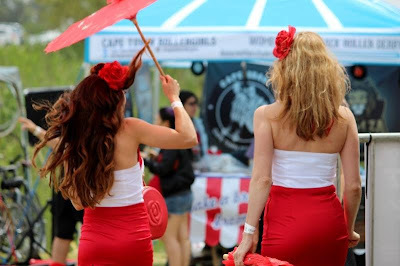 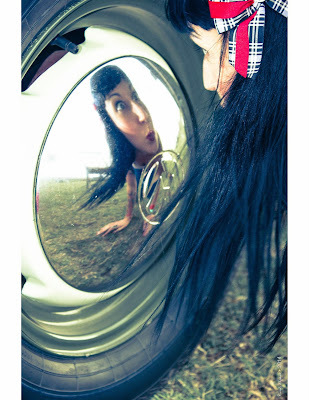 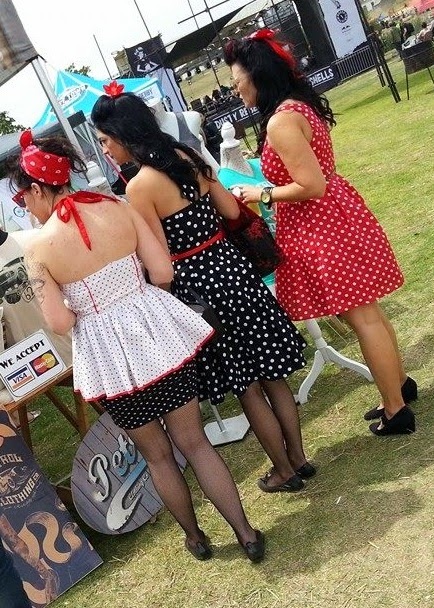 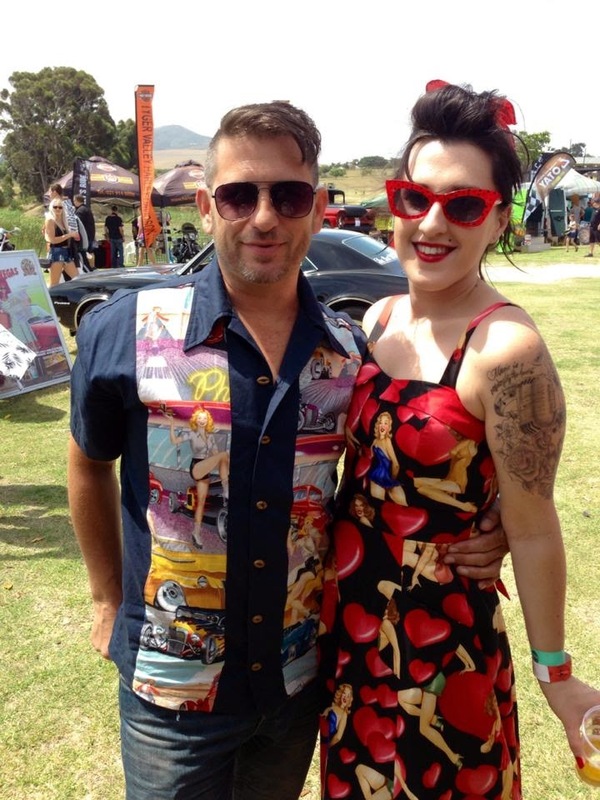 The Miss Happ gals had such an awesome day on Sat at the Dusty Rebels and the Bombshells - Rockabilly festival. 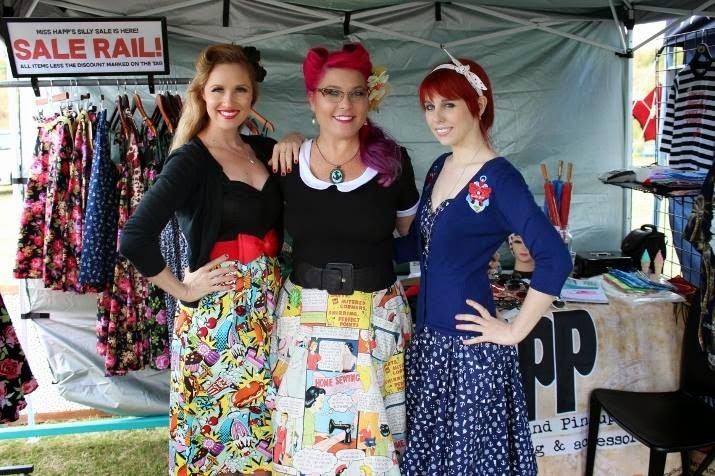 So fantastic to see how many peeps supported Miss Happ & wore our brand! On the day Mandy & her assistant Natalie worked the stand, so it was just the two ladies holding down the fort, but they were super busy and loved every minute of it! 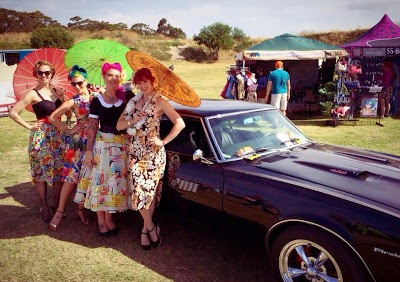 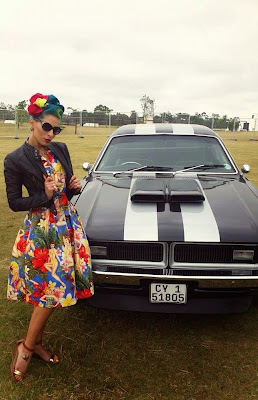 We had our Miss Happ gal, Little Harlequin together with The Blue Haired Betty posing with the Boot Hill Bootlegger - a stunning Pontiac Firebird 400 owned by Miss Happ's very own Mandy (which was all in aid of our "Get us to Vegas" fund). 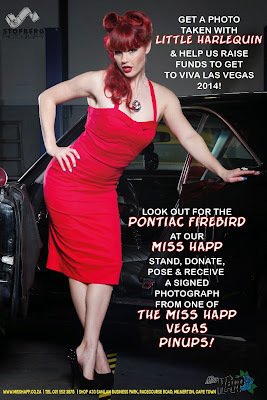 Fans could pose with the car and donate and in return they got a signed photo of one of the Miss Happ gals going to Vegas next year! But as always with all shows that we do it's great to meet new fans, and chat to some of our oldest. 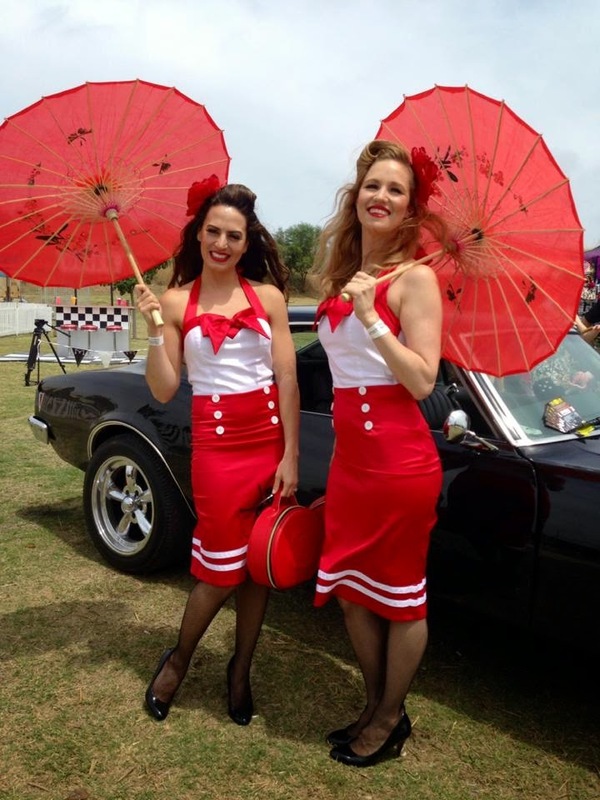 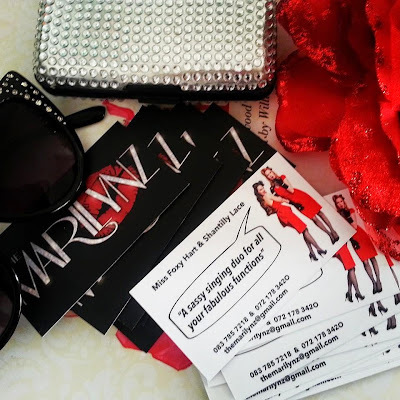 We also had the honor of dressing the lovely singing duo The Marilynz for the stage performance on the day, and they looked mighty fine! 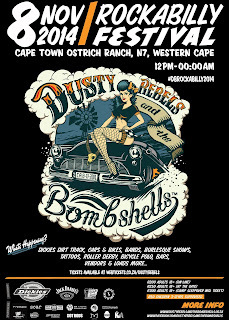 For those interested, they will also be performing a Salute to the Troops next week at Alexander Bar in Cape Town. If you have an open evening, make sure you check them out!